I open helm-occur and enter text "dalvik". 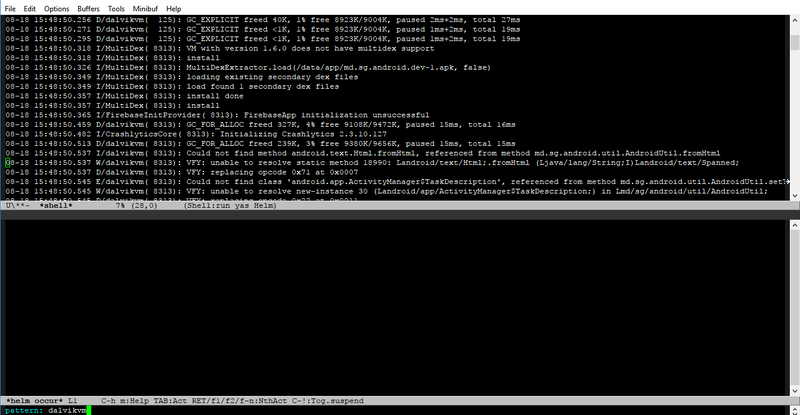 Then I open console and start some process that show in console many times text "dalvik". But in buffer helm occur nothing show. But if close buffer helm occur and start again command "helm-occur" , enter text "dalvik" then in buffer helm occur success show text "dalvik". Question: Is it possible to show text in buffer *helm occur" dynamically("on fly")? Browse other questions tagged helm or ask your own question.